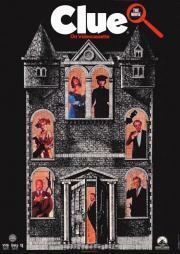 Clue is the best adaptation of a board game into a movie. The cast of characters are what really pull this farce together. I'm sure at the time people were dumbstruck at the idea of making Clue into a movie but once all of the jokes started pouring out of people like Tim Curry, Madeline Kahn, Michael McKean, and Eileen Brennan I'm sure people understood that this was a classic comedy in the making. Amusing oldschool black comedy. Not the best script, but the actors made it work. The multiple gimmick ending screws with the plot by making the whole point of the movie (looking for clues) completely pointless. Very fun. It's one of the most contrived plots that I've ever seen in a comedy film. However, it is extremely funny, clever, and delightfully over the top.